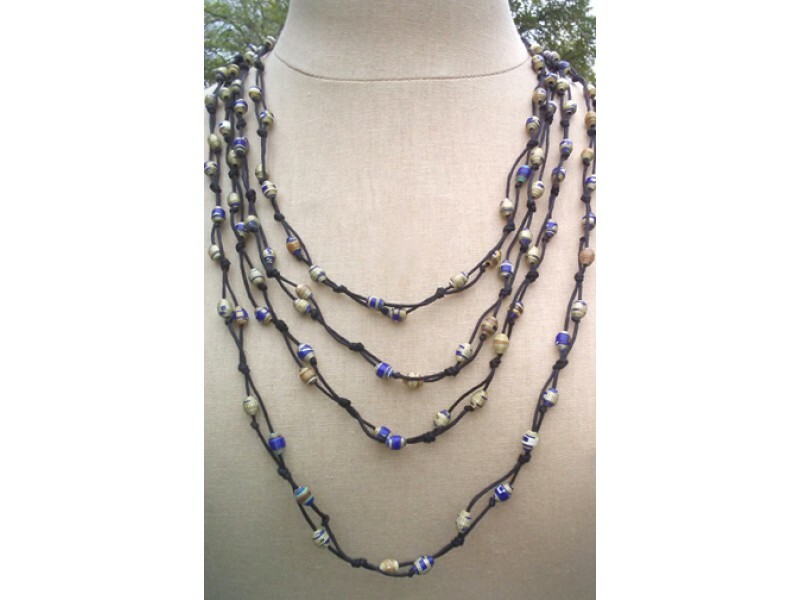 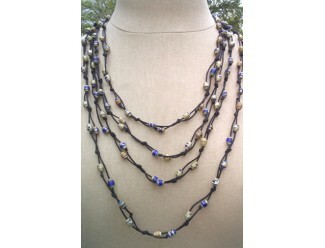 Inspired by silk cocoons, this eco-friendly necklace features colorful beads made from recycled paper! 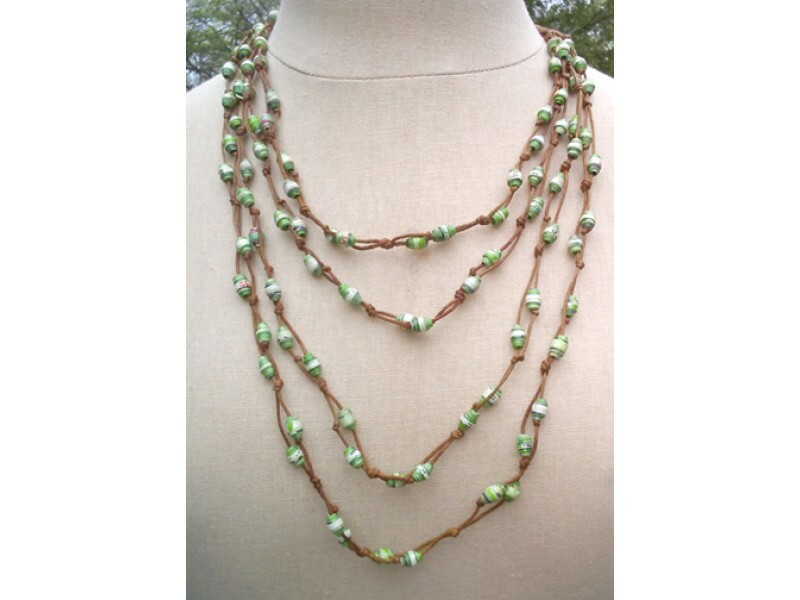 The paper is hand-rolled into beads shaped like pearls and then carefully strung together. 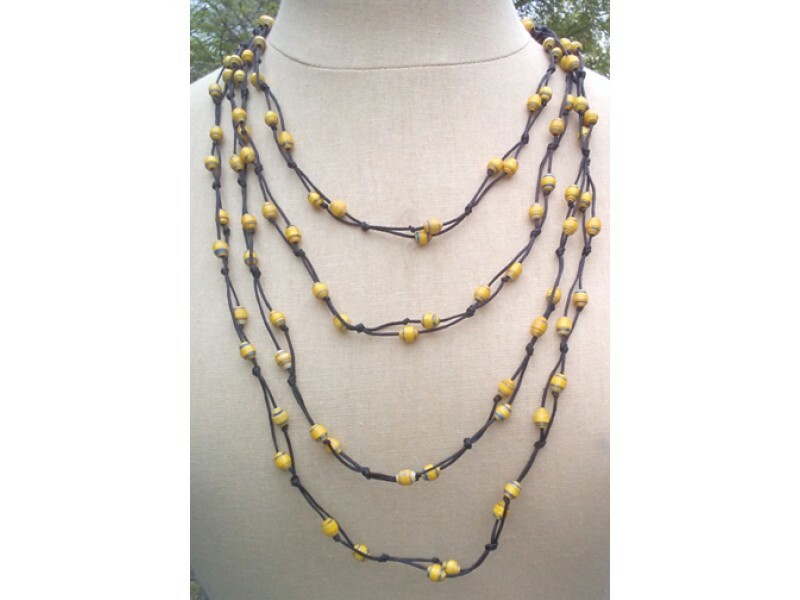 Friends International creates beautiful jewelry, bags and more while employing families and keeping children in school.